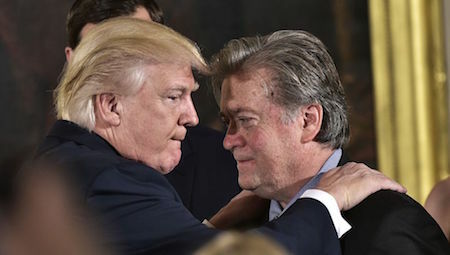 "Help me, Steve, I'm in Over My Head and Losing my Mandate "
President Trump and top advisor Steve Bannon confer as Trump's credibility rightfully crumbles and the Trump circus faces an inevitable foreclosure. I originally posted this column in May, 2016 and posited that America had achieved the pinnacle of H.L.Mencken’s famous quote about the eventual election of a moron with the disputed election of George W Bush but that was just a rung above the growing possibility of a President Trump. Donald Trump represents the last desperate hope of an American electorate who have been seemingly left out of the political process and have lost respect for our Republic ~ so in their powerless dilemma, many have turned to a billionaire huckster who will gleefully voice their fears and concerns while creating a grade D political reality show which sadly has become American politics ~ and he is now our President and creating chaos along with his bizarre right wing inner circle. 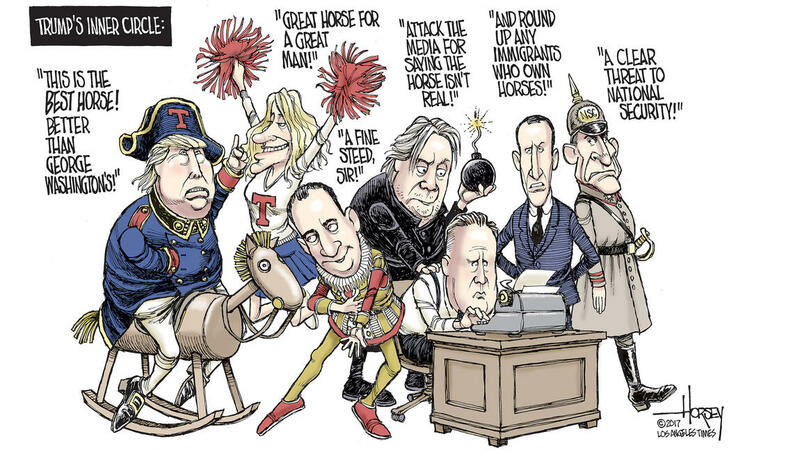 We are living in dangerous times but we are now a part of Trump's ultimate right wing reality show ~ which demands our rightfully concerned voices or we will suffer the same fate as Germany in the 1930's. "Every man of humane convictions must decide on the protest that best suits his convictions, but we must all protest." ~ Martin Luther King, Jr. 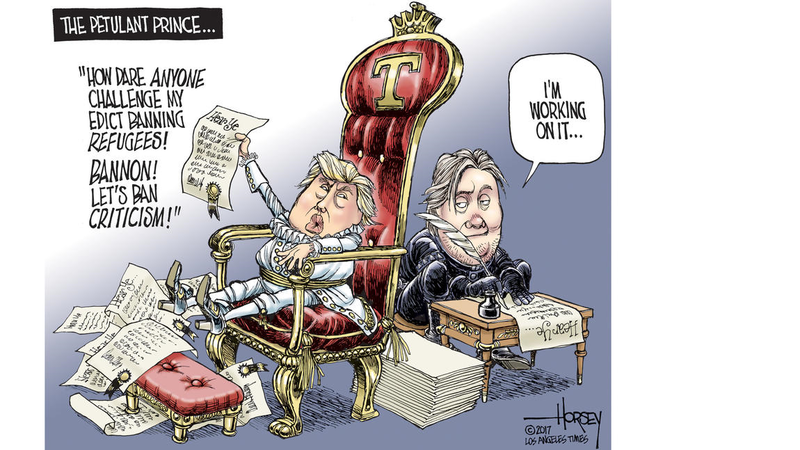 The last chapter of this Trump reality show will be painful for many to watch for it marks the beginning of an evolutionary shift from ego consciousness to soul consciousness ~ which is never painless.